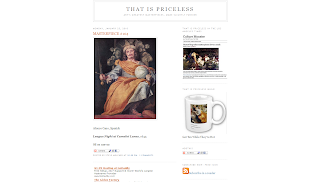 A blog of artistic masterpieces 'made slightly funnier'. The author of this site, Steve Melcher, is a two-time Emmy winning comedy writer for such shows as 'Dennis Miller' and 'Win Ben Stein's Money'. Steve posts an artistic masterpiece on a daily basis with a caption to humorously sum it up in modern times.